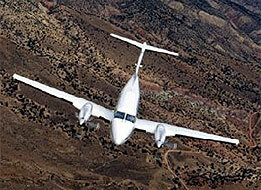 The King Air B200 is the most successful turbine airplane in business aviation. Considered the workhorse of the skies, it can handle a maximum payload of 2,440 pounds and gives you access to runways many jets are unable to use. 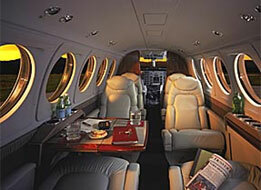 The King Air’s exclusive “vertical oval” design provides superior head and shoulder room. Cabin amenities include executive seating for 6, convenient refreshment storage, private aft lavatory, an in-flight accessible baggage.